Looking to add a modern touch to your existing home interior? 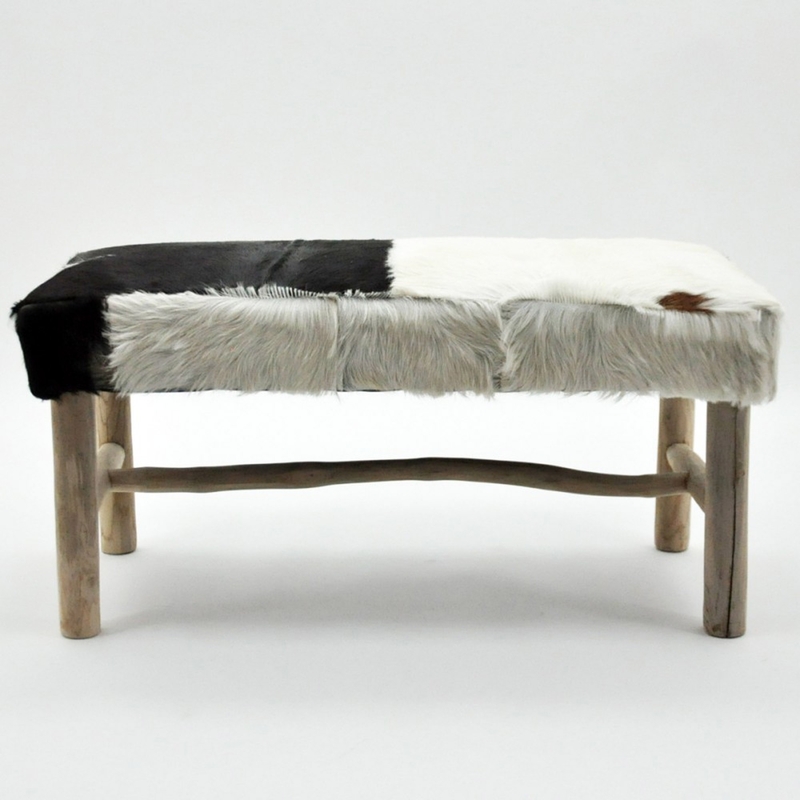 Introducing this beautiful and elegant Goat Skin Bench. The seat features a complete goat skin exterior in a mixture of black and white colours that can easily fit into any existing interior. Complete with a natural wooden stand this bench is the perfect addition to have sitting in any living room or bedroom.